American business leader and philanthropist Mortimer B. Zuckerman announced the launch of the Zuckerman STEM Leadership Program, a transformative initiative designed to support future generations of leaders in science, technology, engineering and math in the United States and Israel and, over time, foster greater collaboration between two of the world’s most advanced scientific research centers. Unveiled at a VIP event in New York, attended by Governor Andrew Cuomo, Nobel Prize laureates, and leaders from business, technology, politics, academia and the arts, the Zuckerman STEM Leadership Program will be a game-changer for scientific collaboration between the United States and Israel. The Program intends to provide over $100 million in scholarships and related educational activities to benefit participating scholars and universities. The Zuckerman STEM Leadership Program will give the highest-achieving American post-doctoral researchers and graduate students the ability to collaborate with leading researchers at Israel’s top research institutions – Tel Aviv University; The Hebrew University of Jerusalem; Technion–Israel Institute of Technology; and the Weizmann Institute of Science – which are among the world’s most advanced. By providing American graduate students and post-doctoral researchers with exposure to Israel’s renowned cutting-edge research and startup culture, the Zuckerman STEM Leadership Program will raise a generation of academic, scientific and industry leaders in the United States infused with a unique spirit of entrepreneurship and innovation. The program will simultaneously bolster Israeli research institutions as world-leading centers for cutting edge research by providing Israeli institutions access to large-scale funding needed to develop top-tier research labs, projects and programs. "We are pleased and grateful to have Mort Zuckerman as a partner in advancing two top national priorities in Israel – reversing brain drain and deepening the Israeli-American friendship. With the help of this new fund, Israel and the United States will forge a shared tomorrow of scientific and technological excellence," said Prof. Joseph Klafter, President of Tel Aviv University. The Zuckerman STEM Leadership Program will help strengthen the US-Israel partnership as Zuckerman Scholars return to the United States after building long-lasting relationships based on mutual collaboration. Israeli academic leaders returning to research institutions in Israel will similarly advance the overarching collaborative effort in science between the two nations as they continue to build bridges with their American colleagues. “Mort’s friendship is demonstrated yet again through this important initiative,” said Prime Minister of Israel Benjamin Netanyahu in a special video message. “Together with the Technion, The Weizmann Institute, The Hebrew University and Tel Aviv University, this project will help bring back home some of Israel’s most brilliant sons and daughters, allow them to advance their own careers here and in so doing contribute to Israel’s growing scientific excellence. 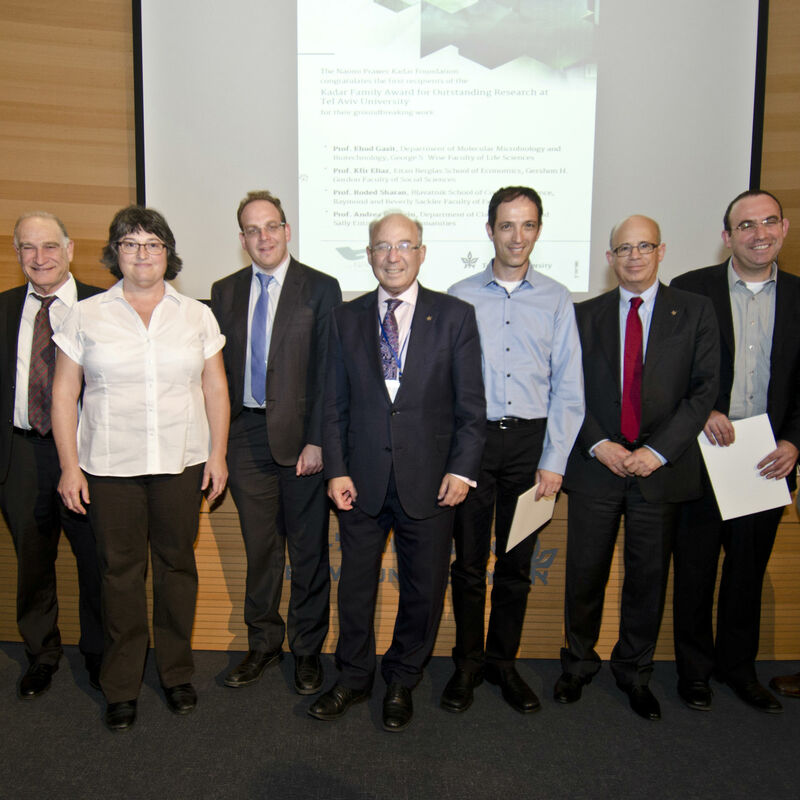 It will also enable some of America’s brightest young scientists to conduct their research in Israel." The Zuckerman STEM Leadership Program will be supported by funding from Mr. Zuckerman’s foundation, and the first class of Zuckerman Scholars will begin in the 2016–2017 academic year. The foundation’s long-term intent is to ensure that the Zuckerman Scholars and the program’s related educational activities continue in perpetuity. In the next twenty years alone, the program intends to provide over $100 million in scholarships and related educational activities that will benefit not only the participating scholars and universities, but the general public as well. Additional information on the program, including how to apply, is available through the program’s website at http://zuckerman-scholars.org. 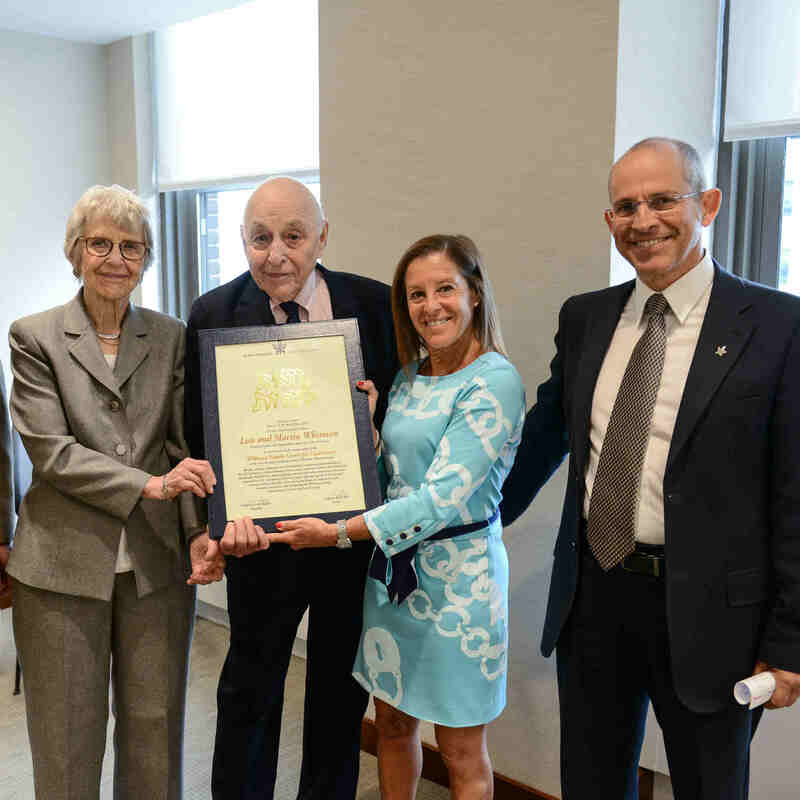 "It is both a pleasure and an honor to join in celebrating the creation of the Zuckerman Scholars Program supporting an American-Israeli Program in science and mathematics”, said Nobel Prize Laureate, Dr. Richard Axel. “This Program embodies what the world truly needs, the freedom to pursue knowledge. Indeed, freedom of inquiry at times of global discord can be fragile and our society depends upon its universities to provide a dialogue. The Zuckerman Scholars Program will nurture a free and open dialogue between young scholars from the two nations in the pursuit of new ideas." “The Zuckerman STEM Leadership Program is aimed at providing an excellent response to key issues in concurrent science, as it will open new collaborating paths between American and Israeli young researchers attempting to shed light on basic issues in modern science. It is expected to put strong foundations for the creation of a community based on unique scientific interactions between leaders, entrepreneurs and innovators, emphasizing freedom of minds and courage in scientific attitude, essential to progress concurrent science to higher levels of excellence. Naturally, I feel extremely honored and privileged to participate in the celebration of the creation of the Zuckerman Scholars,” said Nobel Prize Laureate, Professor Ada E. Yonath. "The Zuckerman Scholars Program will help foster collaboration among leading academics and researchers from the United States and Israel in the fields of science, technology, engineering and math,” said Senator Kristen Gillibrand. “This exciting program will work to advance United States-Israeli cooperation in scientific research and innovation at the highest levels for years to come." "Expanding opportunities for talented researchers to collaborate with one another will lead to discovery and innovation that can shape the lives of people around the world,” said Drew Faust, President, Harvard University. “The Zuckerman Scholars Program is a boon for the global academic community-and a gift to humanity at a time of great possibility for scientific achievement." "When talented researchers collaborate across institutions, borders, and disciplines, the result is exponentially beneficial to all of us," said John Sexton, President Emeritus of New York University. "This program is grounded in that premise and offers a model for successful international academic partnerships." “Science is the only language with no borders or limits; it belongs to all. The new Zuckerman initiative will strengthen connections between two important academic communities, North America and Israel, at a critical juncture – that where a new generation of scientists begin their careers, who will develop with roots firmly planted in the best institutions in both regions and will continue throughout their careers as catalysts for collaboration, enriching both Israeli and North American science and advancing knowledge for the benefit of humanity,” said Prof. Menahem Ben-Sasson, President of The Hebrew University of Jerusalem. 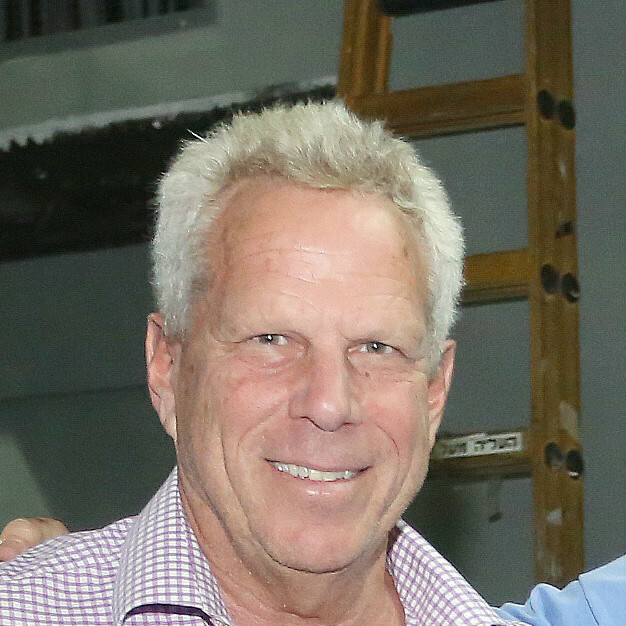 “We thank Mort Zuckerman for his bold new vision empowering graduates of this program to become leaders in their respective fields while serving as role models for future candidates to join the program. The best research is collaborative in nature, and in order to be the trailblazers in rapidly changing fields, it is vital to maintain strong networks with scholars abroad, particularly those in North America. The new program will not only help improving scientific research at its highest level, but will also serve as a new and important pillar supporting the foundation on which the ties between Israel and the United States will continue to prosper,” said Prof. Peretz Lavie, President of Technion – Israel Institute of Technology. "We are pleased and grateful to have Mort Zuckerman as a partner in advancing two top national priorities in Israel -- reversing brain drain and deepening the Israeli-American friendship. With the help of this new fund, Israel and the United States will forge a shared tomorrow of scientific and technological excellence," said Prof. Joseph Klafter, President of Tel Aviv University. “The Zuckerman Leadership Program is truly visionary in that it will create important links between North American and Israeli science by investing in new scientists at key moments in their careers—the postdoc years—as they establish their global network and begin their research careers. In a terrific synergy, Israeli science and these visiting scientists will nourish one another, and in the process strengthen Israel’s role as a world hub of science and technology. We expect that the relationships that will be built within this framework will generate life-long collaborations that will advance many areas of science. The Weizmann Institute of Science, a world leader in basic research, is looking forward to this new partnership and we are deeply grateful for the friendship and support of Mr. Mort Zuckerman. We look forward to witnessing the success of this program in the years to come, and the great science that will spring forth from it,” says Prof. Daniel Zajfman, President of the Weizmann Institute of Science. "With this program, Mort Zuckerman is once again demonstrating that the path to progress, peace and prosperity lies in bringing together the great minds to tackle the most difficult problems" said Alan Dershowitz, Professor Emeritus Harvard Law School. "The Zuckerman Scholars Program will be a boon not just to Israeli-American academic partnership but to innumerable scientific fields and the millions of people around the world who will benefit from their discoveries and advances. "The program is also a welcome affirmation of the spirit of openness, excellence and tolerance that Israeli universities and research institutions embody." The Zuckerman Scholars Program will initiate with the two main tracks: (1) the Postdoctoral Scholars Program, which is open to highest-achieving postdoctoral researchers from the United States to pursue research at leading Israeli research institutions; and (2) Zuckerman Faculty Scholars, which is designed to support Israeli academic leaders by fostering world-class labs, programs and projects at the Israeli institutions.